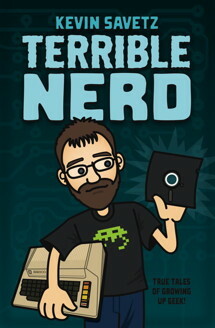 The Calabasas Courier, my high school newspaper that I wrote for in the ’80s, interviewed me about Terrible Nerd. You can read the interview here. At the start of the interview, the writer Gabi Weiss pronounced “Courier” so it sounded like “Frigidaire.” I told her that we used to pronounce “Courier” like the delivery guy. She was as amazed by my pronunciation as I was by hers.